Peter Dutton has not ruled out another challenge to become the leader of the Liberal party and take over from Prime Minister Malcolm Turnbull, with speculation that another spill motion could be put forward before the week is over. Dutton, who moves to the back-bench yesterday after a failed attempted to dethrone Turnbull told Melbourne’s 3AW that he was continued to lobby his colleagues to get behind his push to be the leader. “I’m speaking to colleagues. Colleagues are talking to me. I’m not going to beat around the bush.” Dutton told Neil Mitchell this morning. 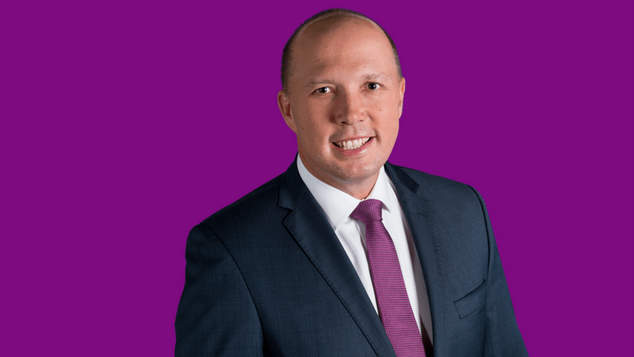 Dutton said the Liberal party fared a much better chance of winning the next election with him at the helm than current Prime Minister Malcolm Turnbull. While Dutton fell seven votes short of the number required to win the leadership yesterday, the margin was slim and political analysts highlighted there was little chance Turnbull would survive as leader in the long run. Yesterday a string of minister offered the Prime Minister their resignations noting that they had not supported him in the leadership ballot. Since yesterday ten ministers have offered their resignation, including cabinet members Health Minister Greg Hunt, Trade Minister Steve Ciobo and Human Services Minister Michael Keenan. It has also been reported that Zed Seselja, Alan Tudge, Angus Taylor, Michael Sukkar, James McGrath have also offered to resign. It appears that the Prime Minister has rejected most of the resignation proposals, but it shows that many of the government’s top performers have lost faith in his leadership. The Prime Minister has accepted the resignation of International Development Minister Concetta Fierravanti-Wells after she wrote letter criticising his decisions. In a press conference earlier today the Prime Minister said he did not expect to face a second challenge to his leadership this week. Governor General Peter Cosgrove however has cancelled his travel plans for the week saying he thought it would be prudent of him to stay in Canberra.